Our Five Tips to Happy Travels! Having money doesn’t ensure happiness but spending it right can make you a lot happier, claims a new study. We summarize the top five tips to happy travels and point you to some Enchanting specials that will help you along! “Money can’t buy happiness:” it’s the kind of adage you’ll have heard first from someone older and wiser. It represents a way of life that values experience and living rather than the flashy shine of big spending. Once you have enough money to meet your basic needs, the rest is superfluous and won’t really impact your individual Gross Domestic Happiness (a term coined by Bhutan’s current monarch). However the way you spend your money can really increase your happiness. This is what a team of researchers consisting of Elizabeth Dunn, a psychologist from the University of British Columbia, and Michael Norton, who does research on marketing at the Harvard Business School, have concluded. If you’re thinking that spending money to buy happiness equals buying luxury, comfort and extravagance, think again! The professors discovered that it isn’t flashy big buys that ensure happiness. If money can be spent to increase happiness, it’s by following five cardinal principles. They lay these out in their new book, “Happy Money: The Science of Smarter Spending” and we take a closer look, based on an article by lawyer and entrepreneur, Marelisa Fabrega. It seems that the secrets to happiness lie in cherishing experiences and knowing how these have to be created, rather than expecting them to come from sheer money-spending. The happiness you get from spending your money on a material good will only last a short amount of time since humans adapt quickly to new things. With an experience, you “live” it, it enters you, forms a part of your memory to be relived over and over and is often a duo or group activity with others involved, which enriches the experience. 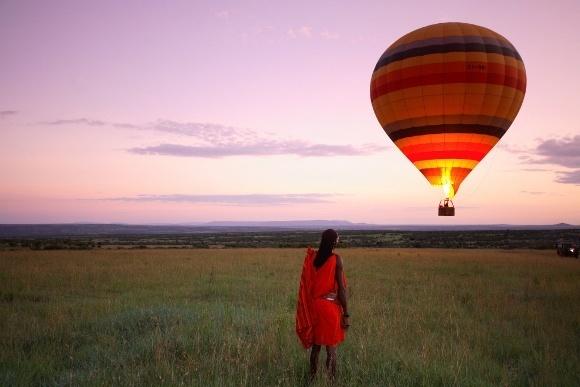 Try to compare buying a new designer outfit with a hot air balloon ride over Masai Mara. “After landing we had a champagne breakfast in the middle of the park with animals roaming and grazing around us. We’re sure you’ll agree this experience was nothing quite like the excitement over a recently open box of, say, noise canceling earphones! When something, however small, feels like an indulgence or an out-of-the-way experience, it immediately becomes a treat. Instead of indulging in a spa massage every evening, if you were to treat yourself to it at the end of an especially grueling day, it would feel extraordinarily special! The book attempted an experiment involving research subjects who were asked to eat chocolate everyday for a week; the control group abstained for a week. Both groups then reconvened and everyone got some chocolate. Those who had abstained cherished the experience far more than those for who it had become routine. 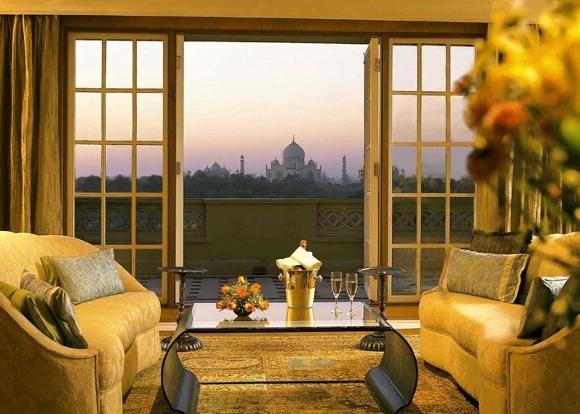 When you travel with Enchanting Travels, we ensure you enjoy special treats. It’s not uncommon for guests to be treated to an unexpected bottle of wine at their dinner table, an upgrade to a fantastic suite or a luxurious massage at the hotel spa. One of our guests was treated to a suite with its own private plunge pool! You’re probably wondering where to buy time. How come you never heard about this miracle before? But buying time just means spending it wisely to ensure “time affluence”. As far as possible, try to save time for yourself. This could translate into outsourcing a lawn mowing job, or getting an excellent travel company to spend the long hours planning your trip, leaving you only to enjoy it. Try us: all we ask is for your time on an initial phone call to tell us what you’re looking for. We’ll take it from there – doing the planning, charting out the itinerary and activities, and making sure you’re met and guided through your trip! Get in touch here. There are few back-to-earth shocks worse than emerging from a candlelit spa massage into the bright lights of a reception where someone is waiting for your cash by a credit card machine. Save yourself the harsh reality by paying for a service or an experience up ahead! By the time you experience it, the cost won’t be the first thing on your mind, leaving you to enjoy the experience. This is a principle we rely on at Enchanting-Travels. When you arrive, there is no negotiation or transaction at hotels, with drivers and for entrance fees. Instead you can sail through your trip as though you were being fully hosted, paying only for personal consumption. Have you also noticed that when you are in the pre-holiday phase that you feel more peppy and positive? It’s a psychological fact and another reason to have a vacation all planned out in advance! The researchers show that spending money on others offers more happiness than spending it solely on yourself. Research subjects were given dollar bills and some were told to spend it on others in addition to themselves. By evening, they realized that those who spent it on others were more happy than those who self-indulged! We often have guests at Enchanting who want to invest in others and in local communities when they travel. We came up with the extraordinary Pack With a Purpose scheme, allowing guests to invest in others when they travel. Remember to check with your Travel Consultant how you can participate on your next Enchanting journey! Allow us the pleasure of increasing your happiness index!